New Delhi, India / Niamey, Niger | 1 June 2018 — For millions of women and children in Africa anaemia is a significant public health concern—and diets deficient in iron are often to blame. 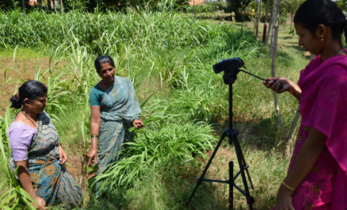 But consuming a new variety of pearl millet called chakti—with an additional 20% of the estimated average requirement of iron—may improve their nutritional status and help them reach their physical and cognitive potential. 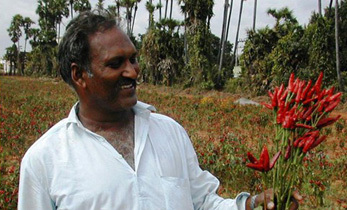 This scientific breakthrough is thanks to plant breeders at the International Crops Research Institute for the Semi-Arid Tropics (ICRISAT) under the work of HarvestPlus. 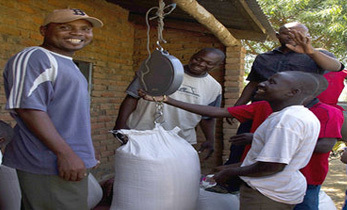 Millet, a cereal crop, is consumed daily by millions of low-income families in Africa and Asia. 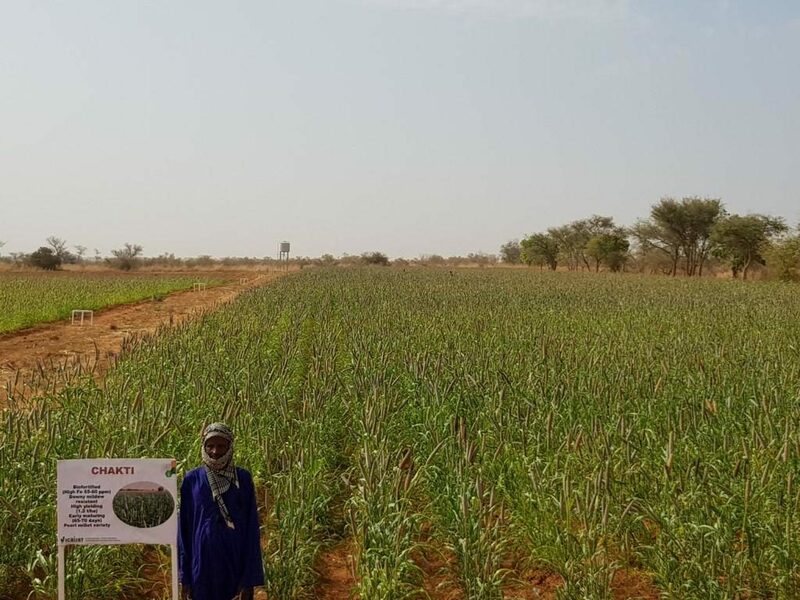 This first biofortified pearl millet variety in Africa, is naturally higher in iron and zinc—two micronutrients essential in diets for good health and productivity. 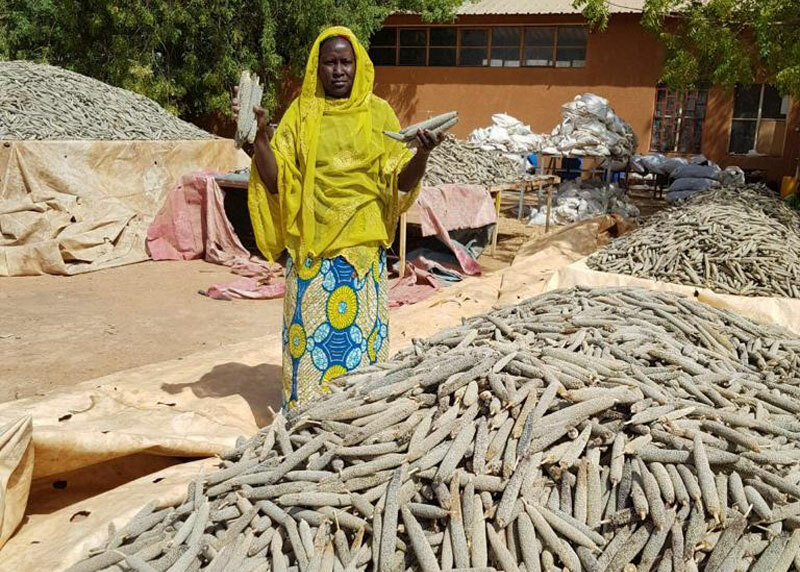 Chakti was officially released by the government of Niger earlier this year for commercial cultivation. 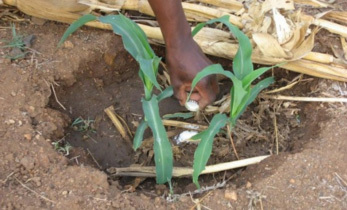 Using the Economic Community of West African States (ECOWAS) seed harmonization laws, which facilitate farmer access to high-quality seed varieties, this variety will subsequently be recommended for cultivation across the region. 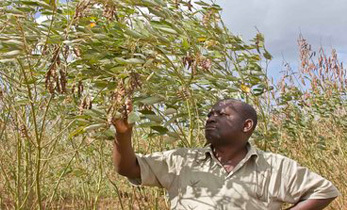 Pearl millet is the oldest millet, used largely in Africa south of the Sahara. As a Smart Food that is good for consumers, the planet and the farmer, its high temperature tolerance and low water requirements make it ideally suited for dryland cultivation and climate-smart. Often the major dietary energy source in the Sahel, it is also the cheapest source of dietary iron and zinc for the region. 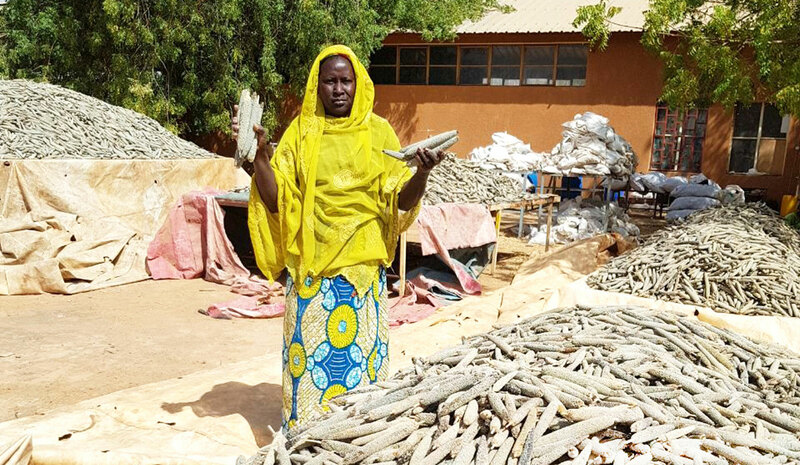 “In partnership with (INRAN in Niger, ISRA in Senegal, SARI in Ghana, INERA in Burkina Faso, IER in Mali, and UDUS in Nigeria), we tested the improved pearl millet across six countries,” say M. Govindaraj and P. Gangashetty, pearl millet breeders at ICRISAT. 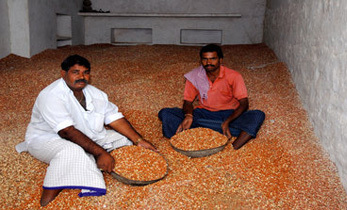 “In addition to the nutritional benefits for consumers, farmers also appreciate that chakti matures 40 days earlier and has a 30% greater yield than local varieties, as well as resistance to downy mildew disease.” While chakti already has over 65mg/kg iron content compared popular farmer varieties with about 47mg/kg, breeding efforts continue to make it even more nutritious.